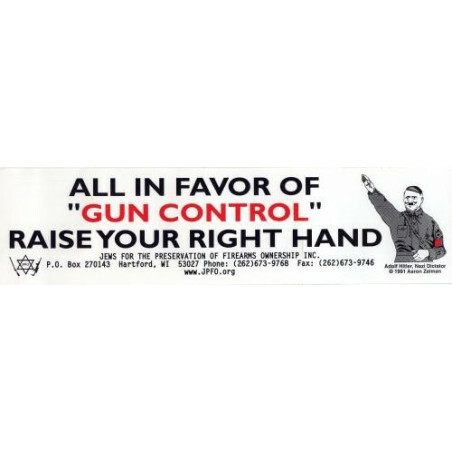 JPFO's All in Favor of ''Gun Control'' Raise Your Right Hand bumper sticker. 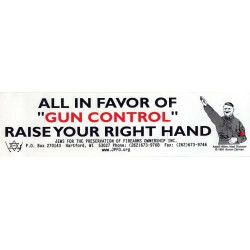 The Bumper Sticker Version of our most popular poster. The sticker is white with red and black letters. It is 11 and 1/2 inches wide X 3 inches high.